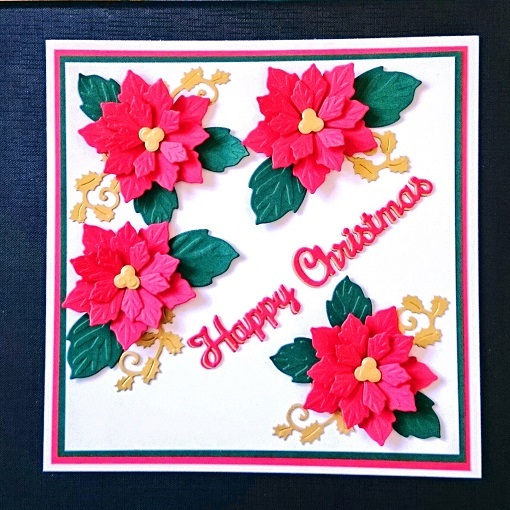 Its the time of year where handmade cards start coming out. And this is a lovely one to incorporate. 1. 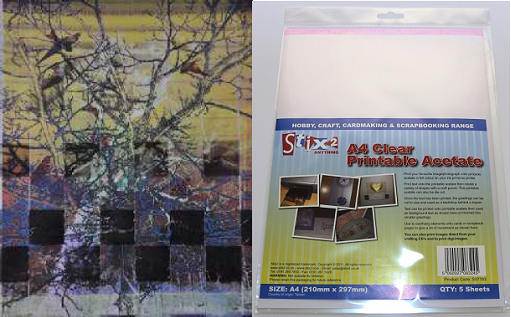 Stamp the image centrally onto the A6 landscape Card. 2. Also stamp the Trees onto a Masking Sheet and the Sparkly Acetate, then cut out. 3. 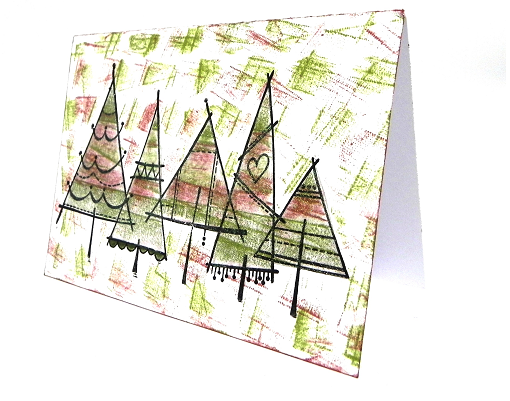 Stick the trees from the Masking Sheet over the stamped trees on the card. 4. 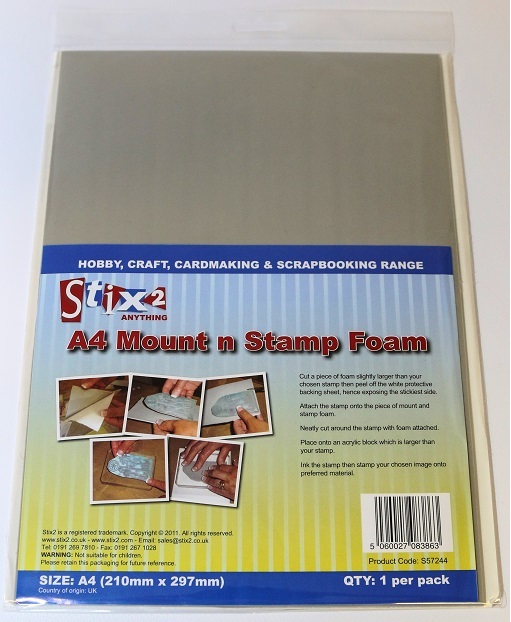 Remove excess ink on the Sparkly Acetate with the Adhesive Remover. 5. Cover with the chicken wire macil stencil and press the green and red ink pad onto the paper creating a background. 6. 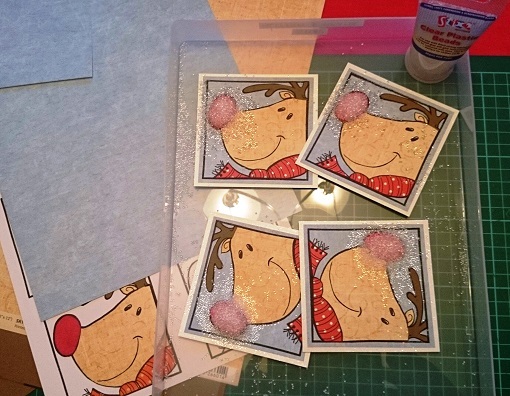 Remove the Masking sheet and colour parts of the stamped image then cover with the Sparkly Acetate. 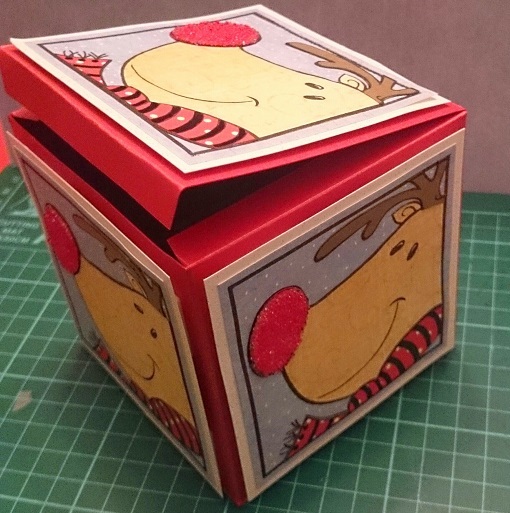 Jenny Redfern has shown us you can do wonderful things with our Tinted Card Range including making Gift Boxes. This is great and just in time for Christmas. Adding the Clear beads to Rudolph's nose gives a great texture. The finished product is a fantastic gift box for all Christmas pressies! A lovely way to say Thank you to someone you care about. 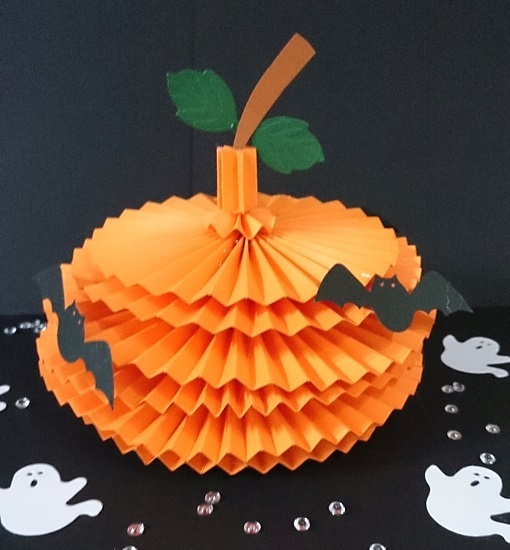 Have a jumping out Pumpkin invite or Halloween inspired card this October. 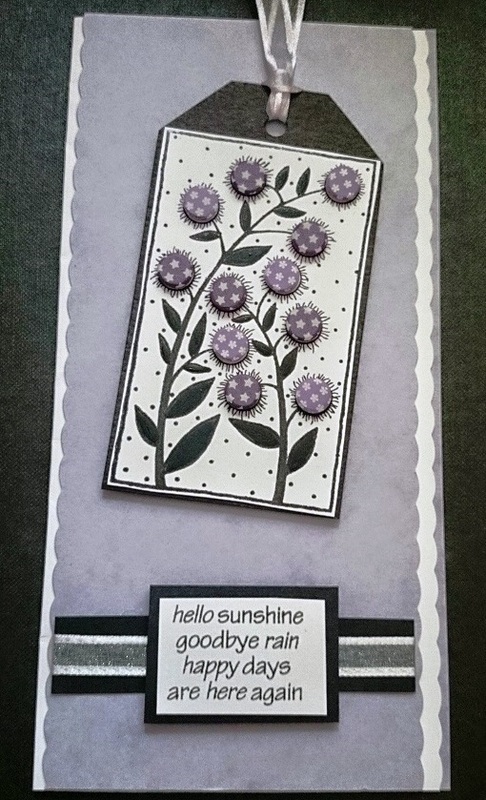 This wonderful Birthday Card has been Handmade by Debbie Frost on her blog but a fab new way to use the flowers and beads! I've been having fun with all the great Stix2 products again. 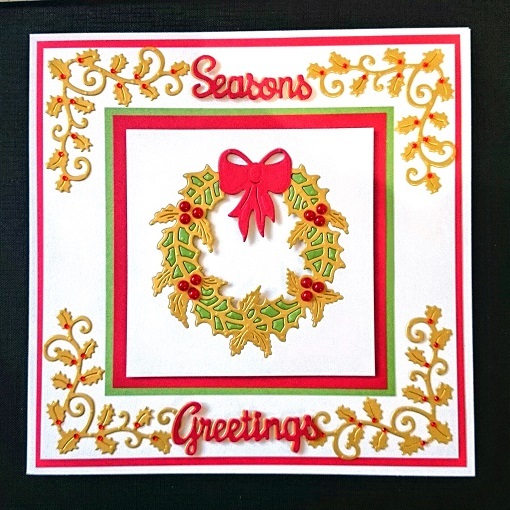 I just loved the Die Cut Stencil sheet which gives the curly background (a Stizzix die).Just choose the die &die cut the sheet. 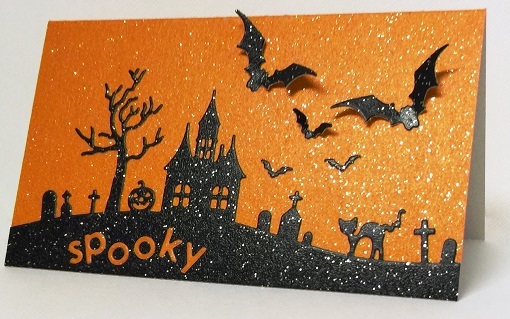 Lay onto a piece of adhesive sheet (which has been attached to some white card) & cover with crystal glitter. Peel off the stencil & store away safely for next time & then cover the remaining exposed sticky surface with green glitter. 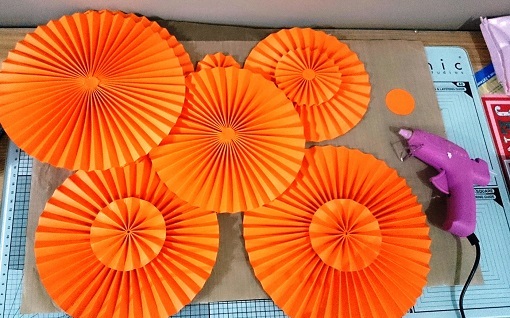 The die cut flowers have been sculpted with a ball tool & shaded with a chalk inkpad. The centre cup shape has been made by gluing the petals behind each other & then snipping with scissors to fringe them. The flowers have been assembled with the hot glue gun & then the centre filled with hot glue before covering with the seed beads from the set. The borders are made with the tapes in 2 widths & then covered with the seed beads, micro beads & glitter from the set. 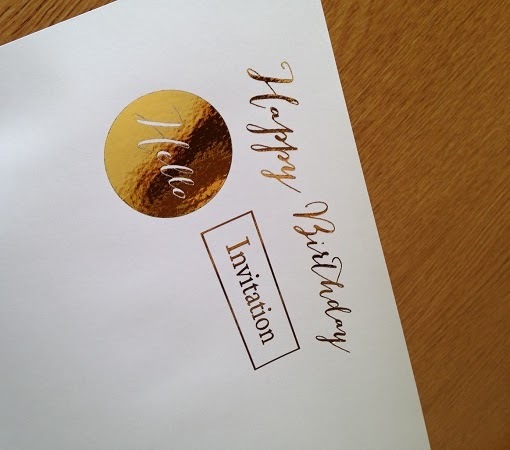 For a while now we have been asked if our Transfer Foils can be used with a Toner ( Laser printer) and a laminator, we have happily been sending samples to those who have asked and then decided... Lets put them to the test?!?! Our wonderful demonstrator Kirsty Wiseman took on the task as she has previously experimented with this and the results were great! Kirsty found they work excellent together and best with black ink. 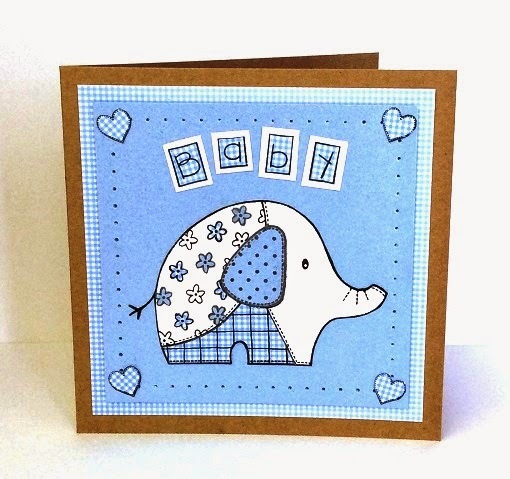 Handmade cards always add that personal touch and this one definitely stands out! 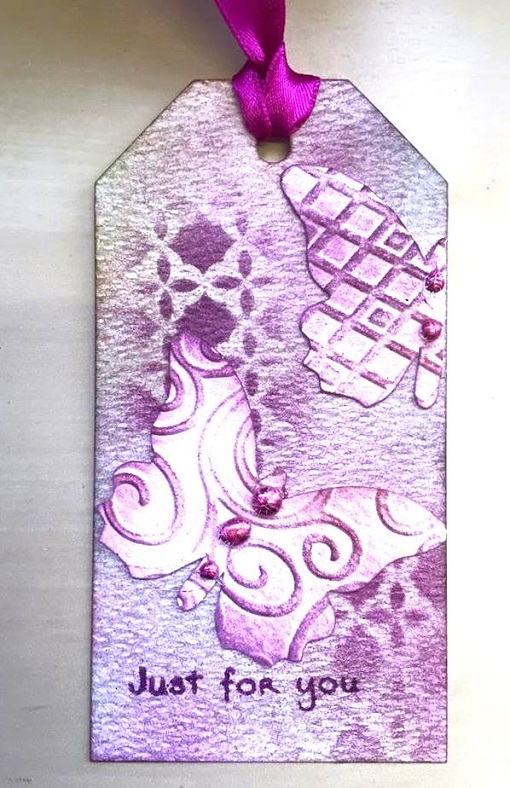 Using the Stix2 Hot Melt Glue Gun with any of the Transfer Foils makes great pearls or brads to add to any homemade project. For this technique you need to wait until the Hot Melt Glue has cooled off. You will know it has done this because it will turn a cloudy colour. 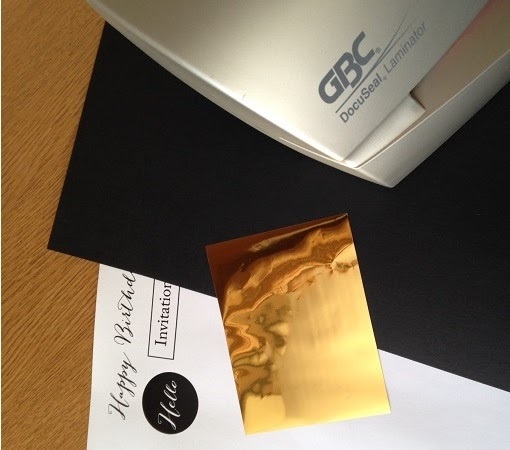 Using your Foil (Dull side down) press hard onto the glue and rub. You will need to apply some pressure on this to make sure the transfer takes effect. 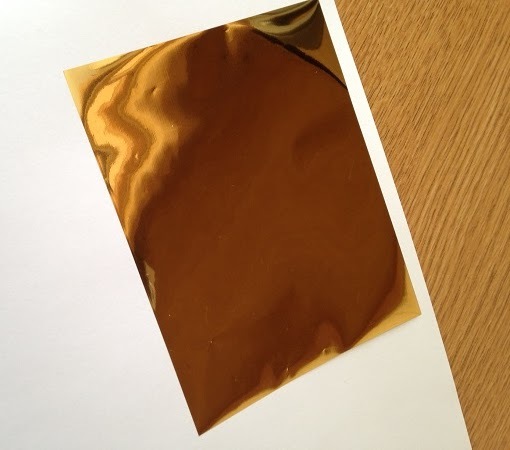 The Foil will leave the shiny print on the glue for your project. This also works with the PVA Glue, but again wait for it to dry. 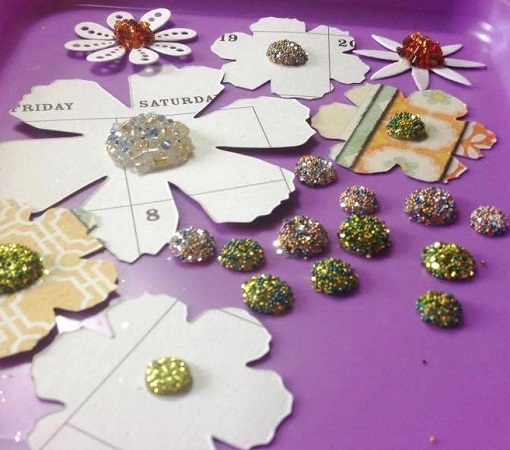 Using the Hot Melt Glue Gun to make embellishments and the Seed Bead and Glitter Tri-Packs are both wonderful to look at and easy to do. For this we suggest you use a Messy Tray by Woodware. The best way to do this is to first create your blob of Glue and while this is still hot, pour the Glitter, Micro Beads or Large Beads directly on top. Don't worry about over spill, this is what the messy tray is for. Allow some time for the glue to dry and lift your finished product out! This also works great with the Clear Plastic Beads. 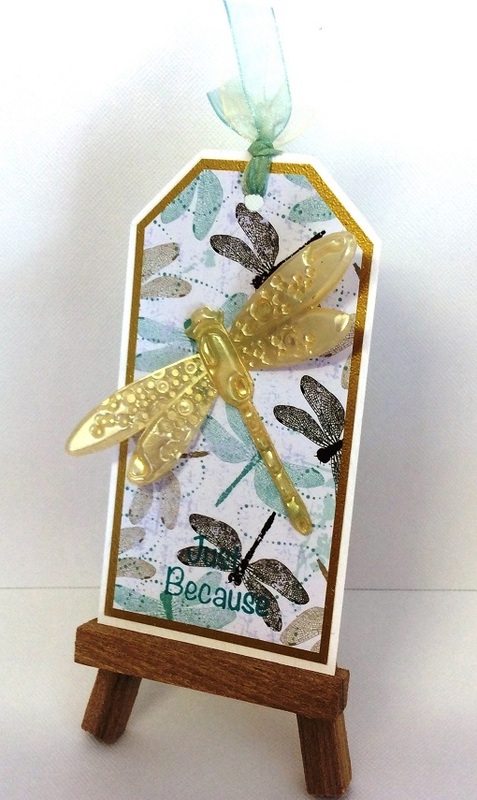 Dragonfly's are such majestic creatures and this fantastic tag shows how they can be portrayed just as beautifully on a gift. 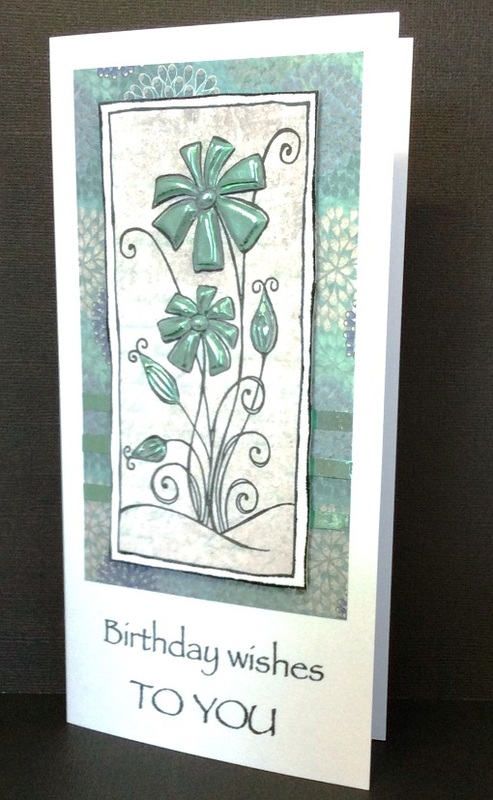 This is a lovely fresh looking card that would look good on any mantle piece. 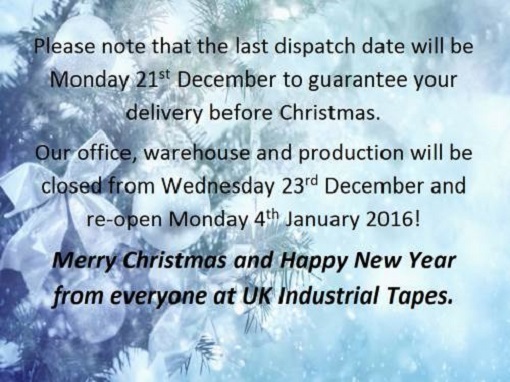 Contact 0191 2697810 or sales@stix2.co.uk for more information. 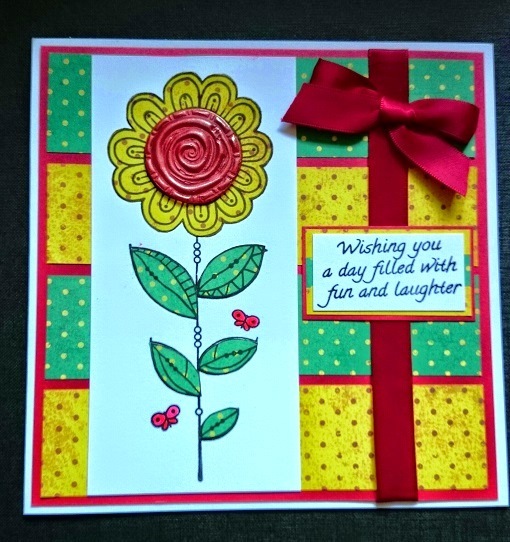 An amazing bright card to go with this wonderful weather we are having. Take your Tape Runner S57269 open this up from the bottom. Remove the old dispenser inside and pop the new one in!! The Tape Runner has a little clear flat to protect the tape when you are not using it! To snap off strands and create the perfect circle with the Hot Melt Glue Gun simply press out the glue on the the Crafting Sheet. Lift the Hot Melt Glue Gun and swirl it round in circles this will snap off any trails and the air will help form the circle for you. 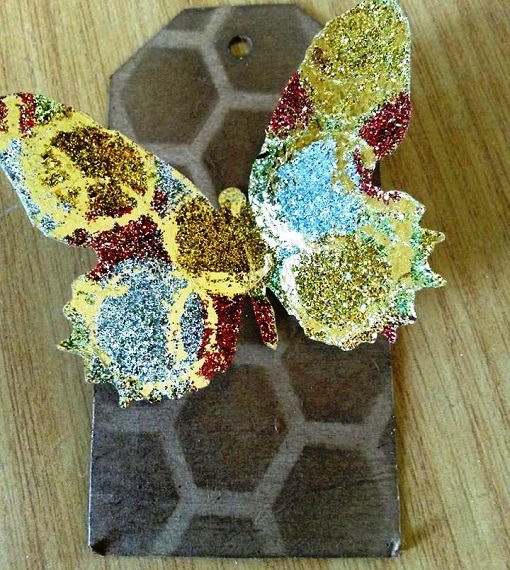 Easy to make and fun to do for this wonderful kraft and sparkly butterfly Tag. Place the stencil onto the tag and secure with the Stencil Tape. 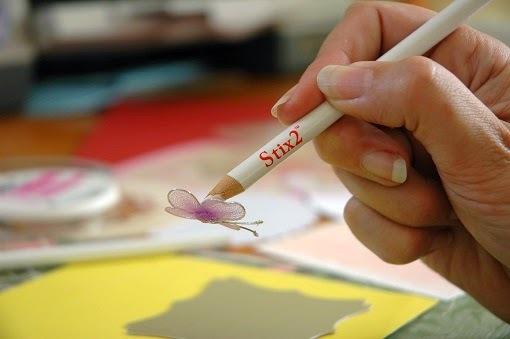 Dab ink with the 3/4 Woodware stencil brush through the holes then take off the stencil sheet and allow the ink to dry. Use the Crafting Sheet to protect the surface underneath. 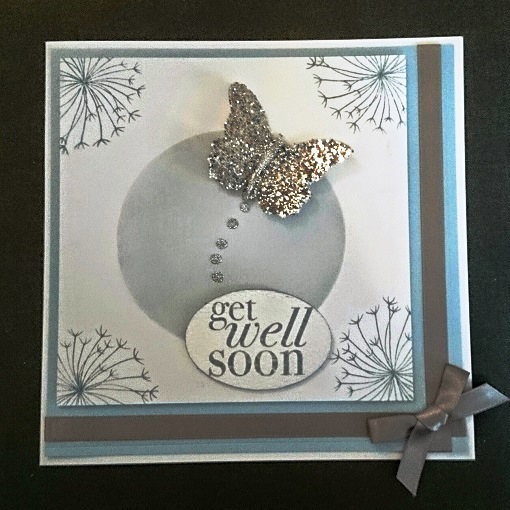 Cut out a small piece of A4 Adhesive Sheets (make sure its still big enough to be die cut by the butterfly) onto the card and peel off the backing sheet to expose the adhesive. Place the foil lightly onto the adhesive ( dull side down) and stamp the base of the Stix2 glitter tube onto the adhesive to create circles all over. Randomly tip the bottles of glitter onto the circles holding the card underneath so you don't spill the glitter. Mix them up to get a range of colours. Pour green glitter onto the butterfly to cover the excess exposed adhesive. Finally die cut the butterfly and attach to the card with the Stix2 Silicone glue and set aside to dry. Why not add a musical note to a personalised tag? Cover the tag with music paper using the tape runner to secure. Dab some ink onto the craft sheet and lay the birds flat. Use the brush to add shadows and shading to both birds by sweeping the in circular motion onto the birds from the crafting sheet. Attach with craft dots to the tag. Use an eyelet kit to re-make the hole. Thread with help cord and tie a double knot to secure. Create two dots for eyes with the micron pen. Due to High Demand we have a new team Member on board based in Exmouth to cover the South West part of the country. Debbie Frost. 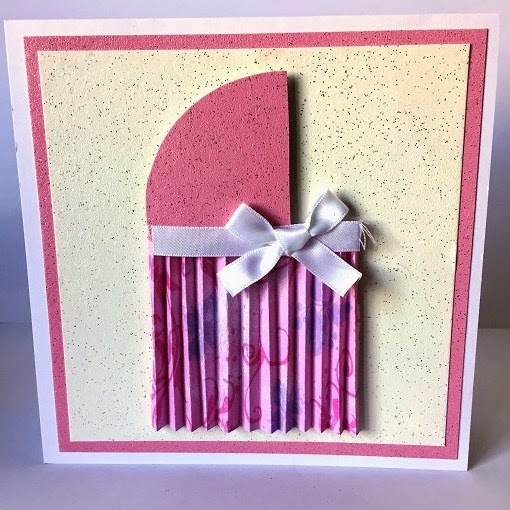 Her Debut Demo will be at Liberty Crafts on 4th July so pop along and see the wonderful projects she does and also have click to her blog with fantastic cards. Once again we have the fantastic Sam Packer providing us with a lovely review on one of our Stix2 Products. This is what Sam had to say about our Pick Up Pencil. you dropping them all over the floor (we’ve all been there). Thanks again Sam its nice to know our products come in handy for you. Looking forward to hearing from you again. Adding a personal touch to someones new home is a great gift, here's a card that can help you do this. Its great to welcome Princess Charlotte into the World. However all baby girls are Princesses and boys are our little Princes. The Favourite date for the Royal baby is 25th but will it be a boy or girl? 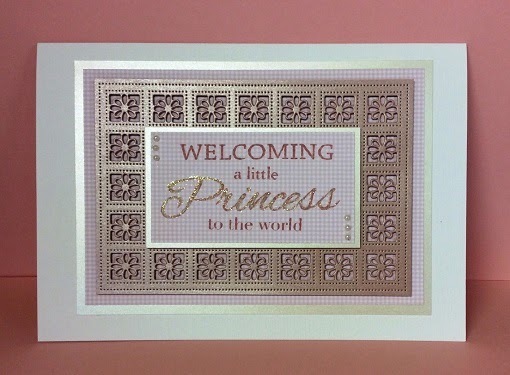 This is a fantastic easy and personal Baby Girl card. Princess Kate is welcoming a new baby soon but is it a boy or a girl?? 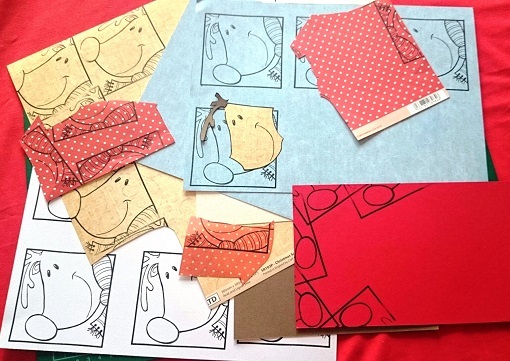 Here is a lovely homemade baby boy card to help celebrate!